Chouain is a village 9 kilometres south-east of Bayeux. 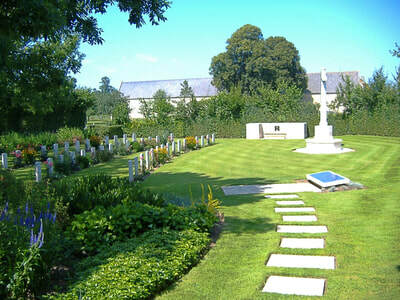 From Bayeux take the route D6 south-east towards Tilly-sur-Seulles. 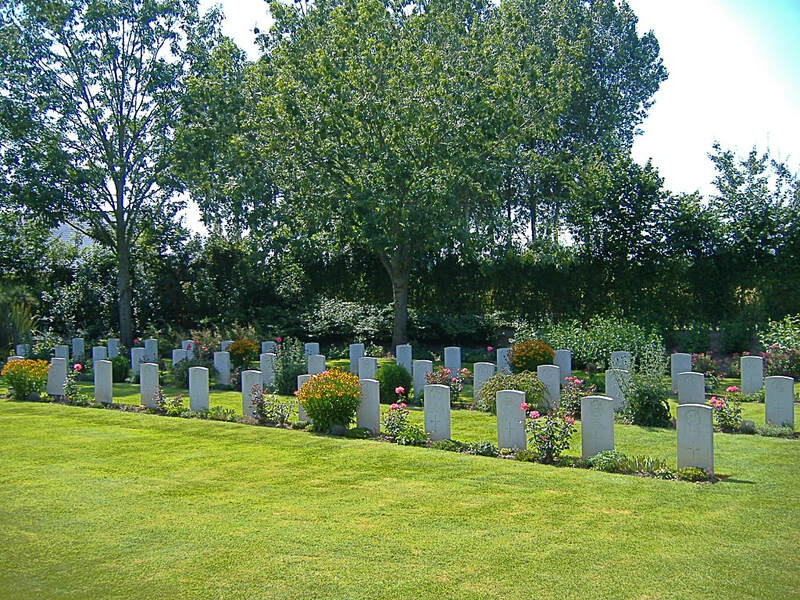 The cemetery will be found after about 8 kilometres on the left hand side of the road at the bottom of a down hill stretch. 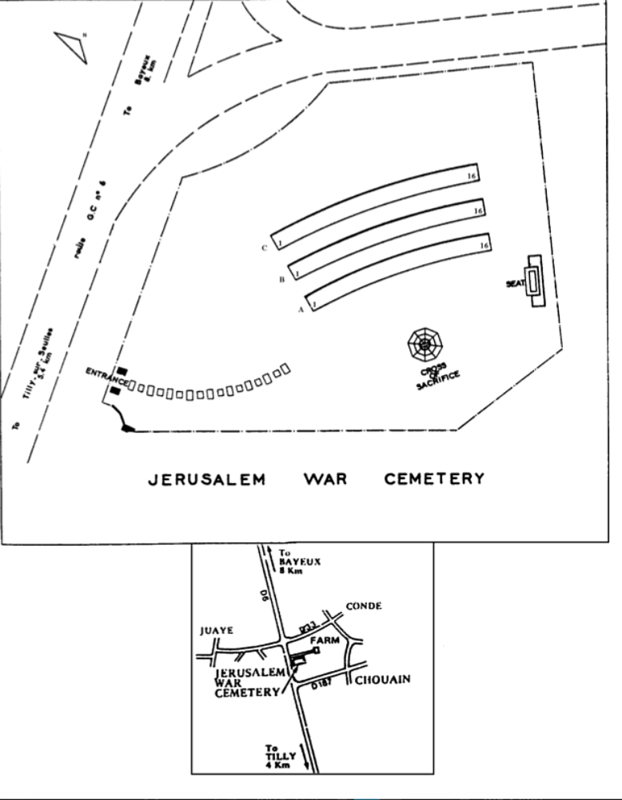 Jerusalem is a tiny hamlet near the village of Chouain. The area was the scene of bitter fighting when a German armoured column sought to retake Bayeux shortly after its liberation. 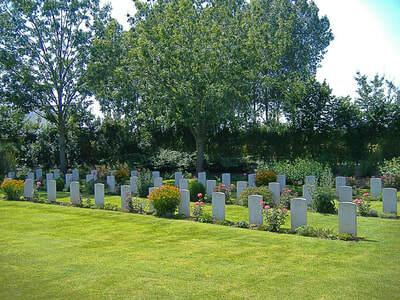 The cemetery was begun on 10 June and is one of the smallest Commonwealth war cemeteries. 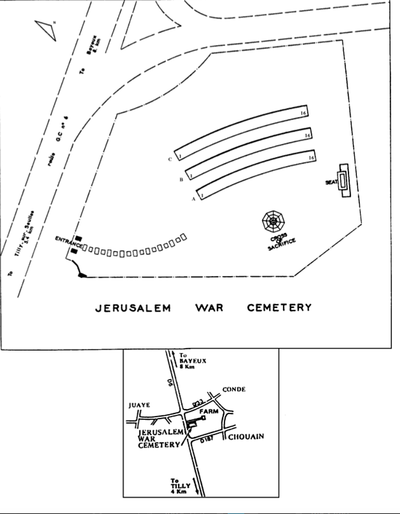 Jerusalem War Cemetery contains 47 burials, one of them unidentified, and one Czech grave. It was designed by P.D. Hepworth.